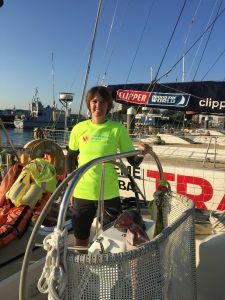 Landscape gardener Heather Broadbent is preparing for her ultimate adventure – sailing round the world! The mum of two is taking to the high seas as one of the crew of a 70-foot ocean racing yacht in the Clipper 2019-20 Round the World Yacht Race. Heather will travel 40,000 nautical miles on her epic 11-month voyage from August. The route from England takes her via South America, South Africa, Australia, China and the USA. Heather is raising funds for East Cheshire Hospice and hopes to raise one pound for every miletravelled. Heather, from Disley, is supporting the Hospice after it cared for her late husband Adam (45) who died of cancer in 2013. Heather is trying to raise £40,000 specifically for the charity’s popular Hospice @ Home service that was set up in 2017. Heather and her friends have already raised £100,000 for the Hospice and The Christie from themed events. * To read Heather’s blogs and support her go to eastcheshirehospice.org/heather.